Trinity Hospital, (now closed) in Arcata, California where I grew up. 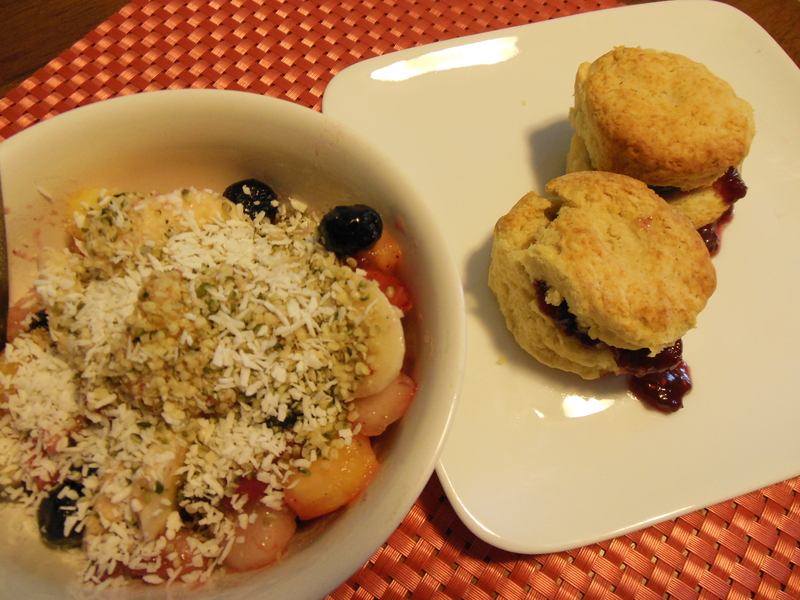 So, now that I am eating a nutritarian diet, I’m pretty happy that I’m able to take a lot of the tricks she taught me as a girl and bake some pretty awesome biscuits that are nutritious and filling especially when paired with a big bowl of fresh fruit sprinkled with walnuts, or hemp seeds and just a touch of some organic coconut flakes. Gramma would be happy to know that I’m eating so well. Love you, Gramma! SPECIAL NOTE: The night before, or a few hours before you want to bake your biscuits, place 4 tablespoons of Earth Balance Vegan Butter into the freezer so it is very cold in the morning. Preheat oven to 450 degrees. Place rack in the center of oven. Next: Take the ¾ cup oat milk and add 1 tablespoon fresh lemon juice. Set aside so it sets up into a delicious buttermilk. 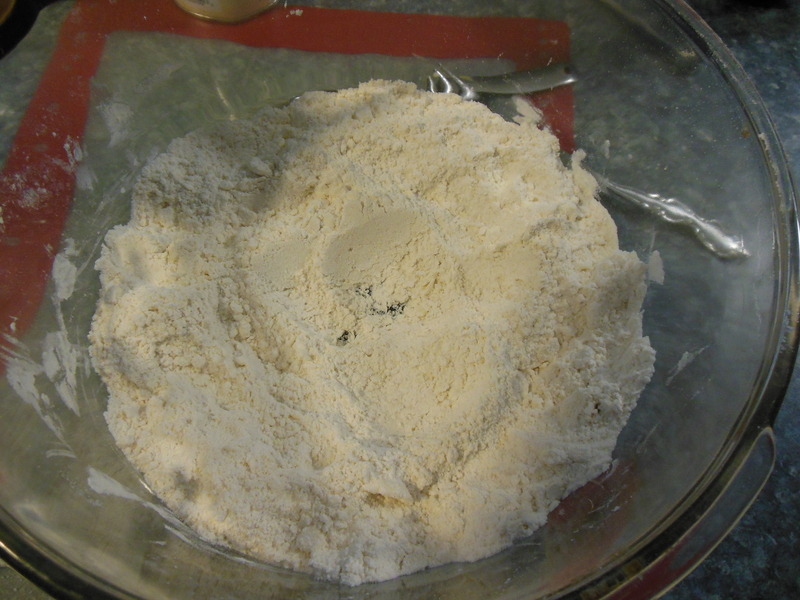 Add the very cold butter to the flour. Now, with your fingers (a trick I learned from Gramma Alice) begin to combine the two until only small pieces of butter remain and the mixture starts to look crumbly. Work quickly and the butter won’t get too warm. 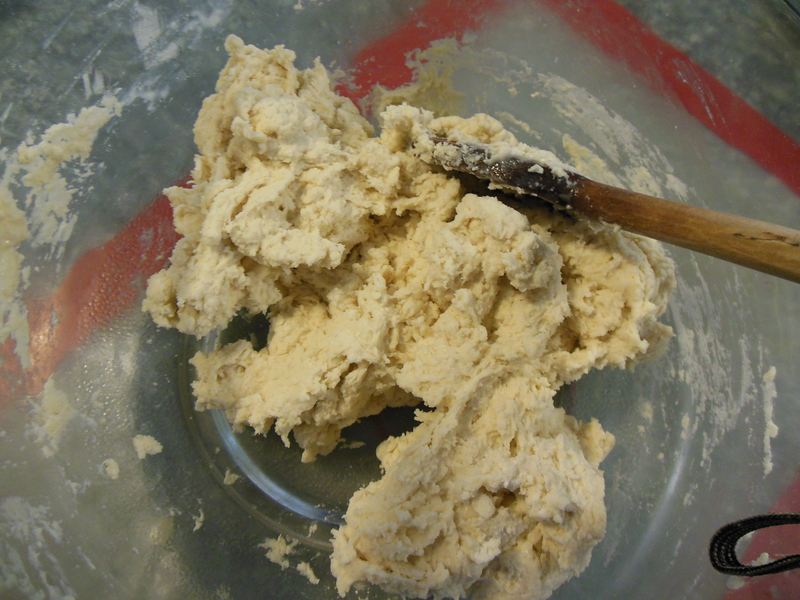 Make a well in the dry ingredients and, using a wooden spoon, begin to add the “buttermilk mixture 1/4 cup at a time. Stir gently. Continue to add the milk until just slightly combined. The mixture will be sticky. 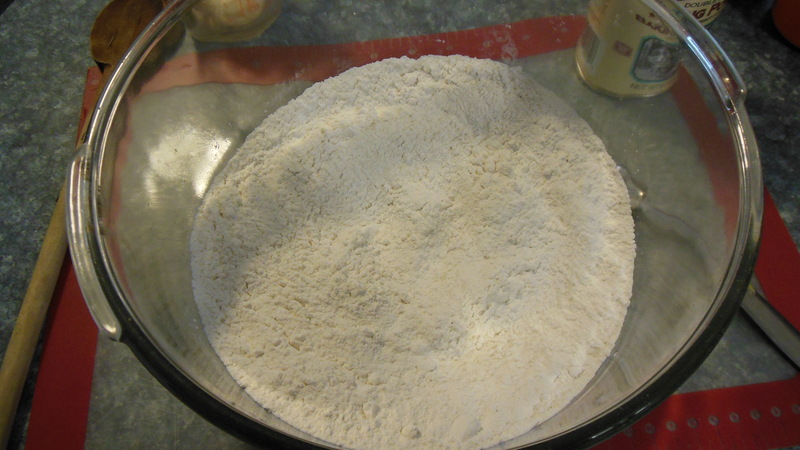 Next turn onto a lightly floured surface, dust the top with a bit of flour and then very gently turn the dough over no more than 6 times. Barely knead. 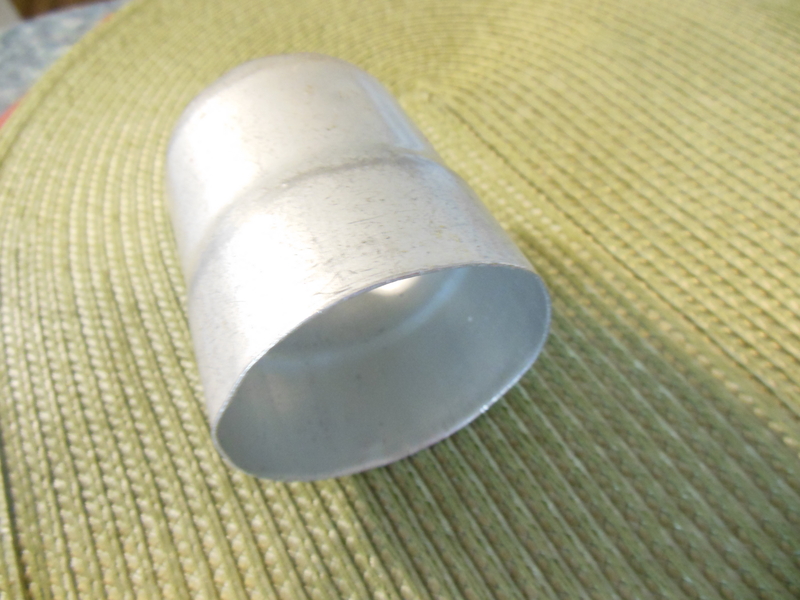 As you finish the last turn over, form into a thick ¾-inch to 1-inch disc. During this last step handle as little as possible. 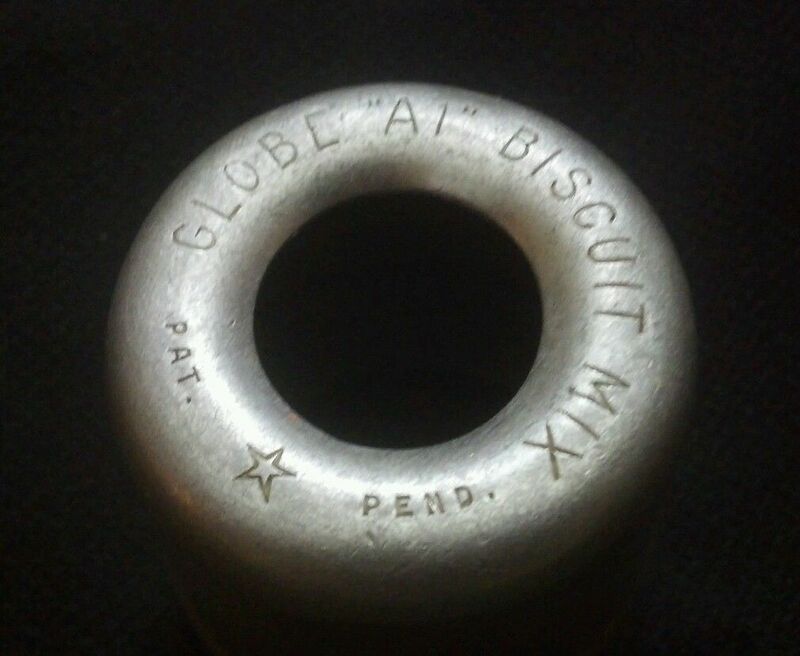 Use a 2-inch diameter dough cutter (I still use Gramma Alice’s Vintage “Globe “A1” Biscuit cutter from the 1930s!). 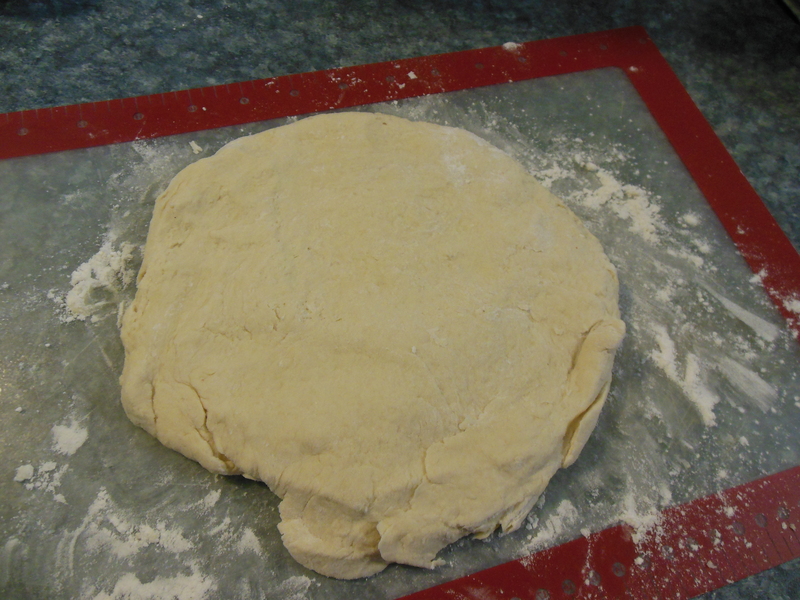 Push straight down through the dough. 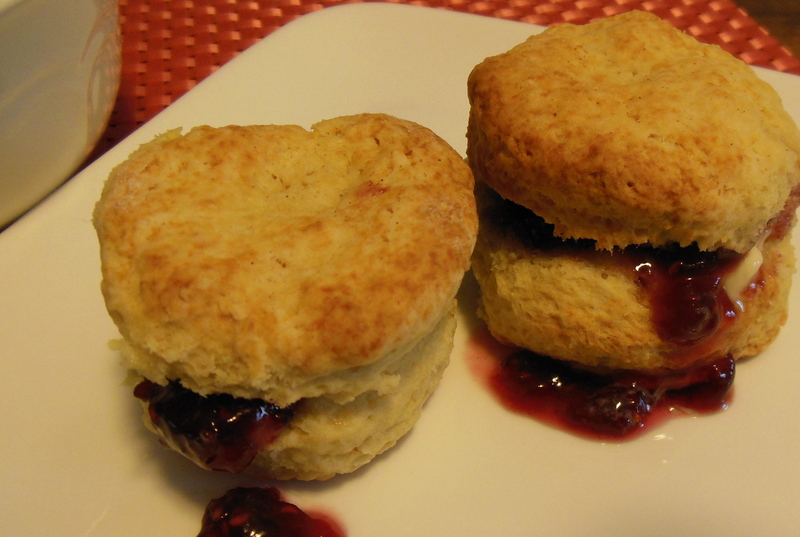 This batch should make you at least 10 – 12 biscuits. As you place them on the pan, another Gramma Alice trick is to make sure they touch each other. 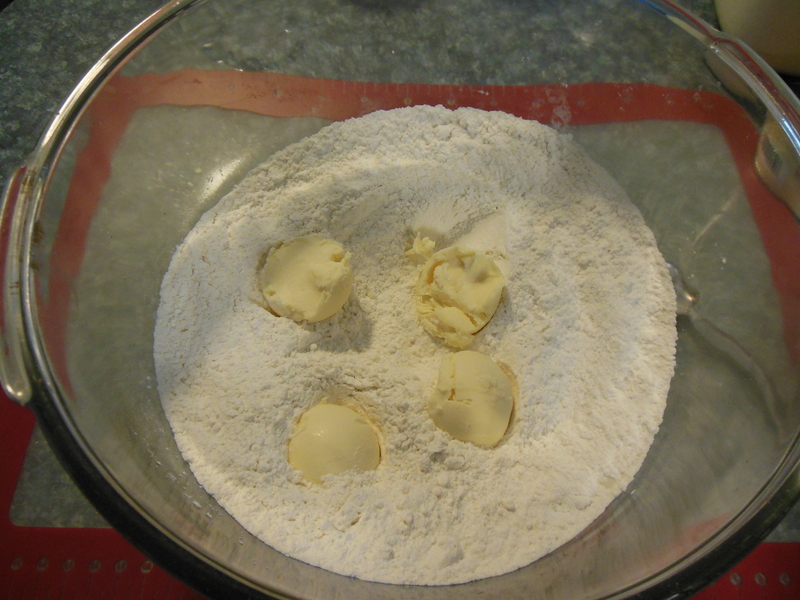 This helps them to rise uniformly as they bake. 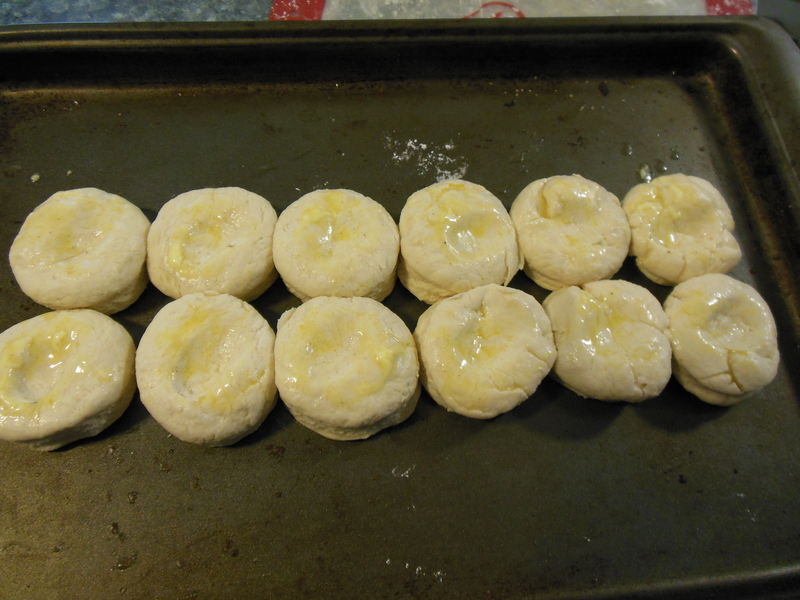 As you cut out your biscuits, and the dough gets smaller, gently reshape it and cut out your final few. Next brush the tops with just a bit of melted non-dairy butter. 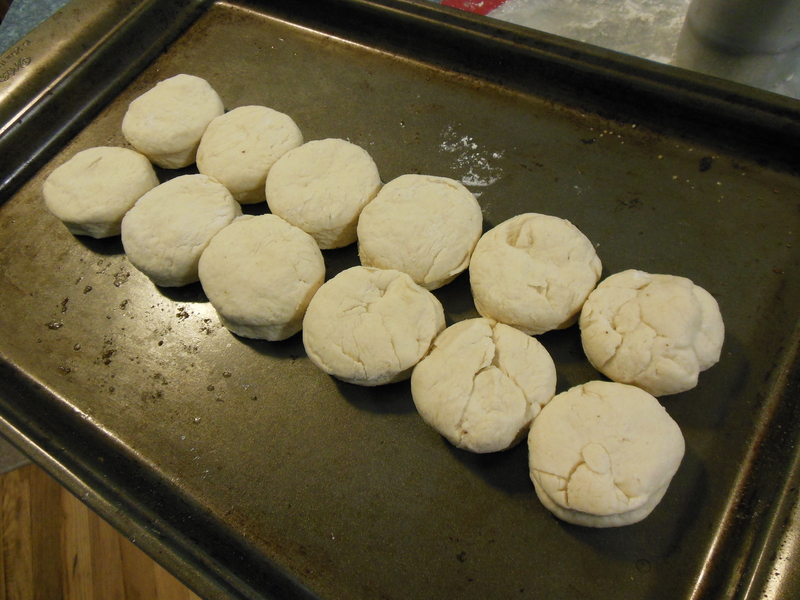 Next, gently press a small divot into the center of each to help them rise evenly and to keep the biscuit from forming into a dome shape – thank you again, Gramma Alice. Bake for 10-12 minutes or until fluffy and slightly golden brown. Serve immediately. Because let’s face it . 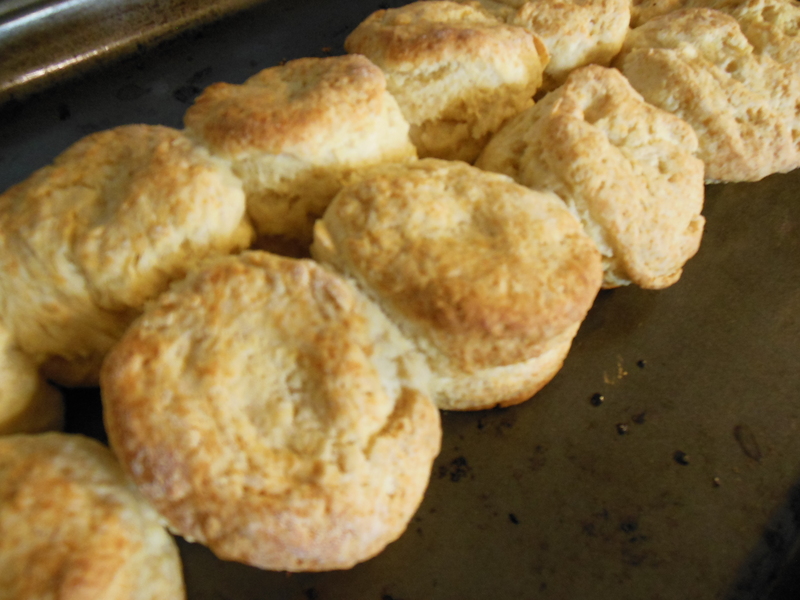 . .
there’s nothing better than biscuits hot out of the oven! When paired with a bowl of fruit sprinkled with nutritious seeds, you will boost your protein. Hemp seeds: (3.5 grams per tablespoon); Sunflower seeds (7 grams per 1/4 cup); Chia seeds (3 grams per tablespoon). Then, just a sprinkle of organic coconut flakes . . . so pretty! If there are any left overs, let the remaining biscuits cool completely before storing them in an airtight container or bag.